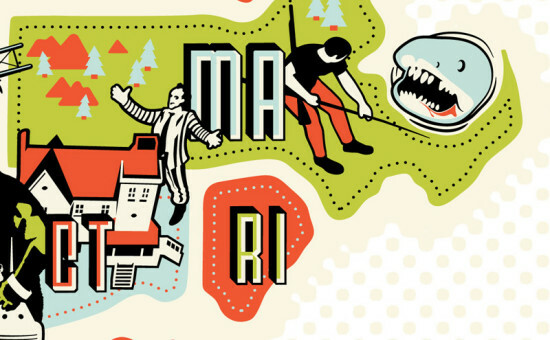 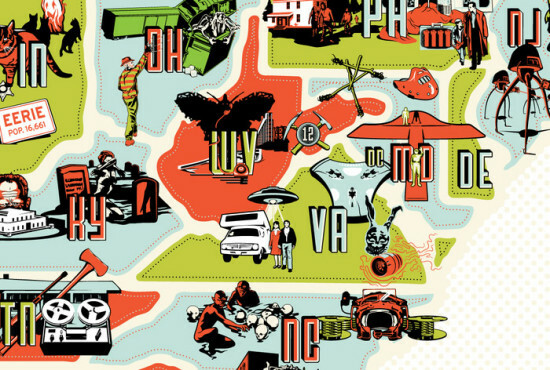 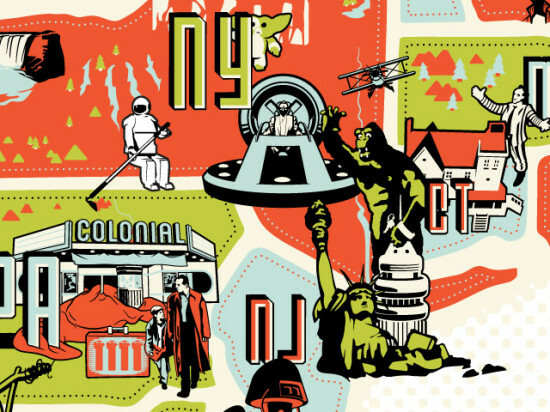 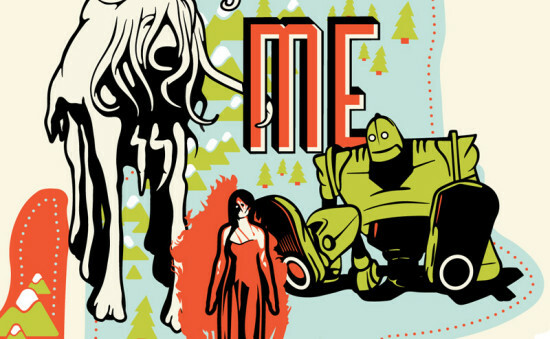 An illustrated map of America populated with the legendary events and characters from popular science-fiction, horror and fantasy. 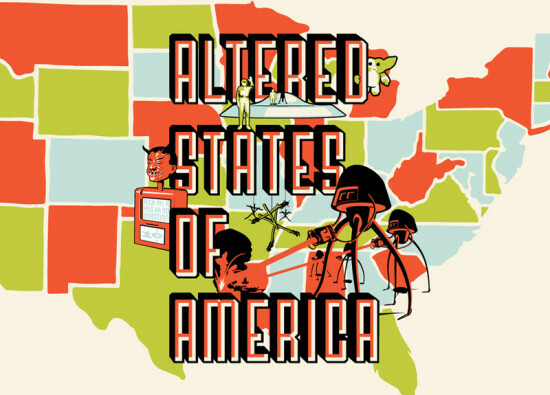 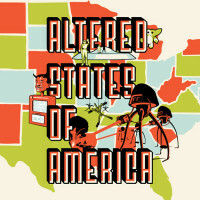 You can buy from Chop Shop The Altered States of America as a large 36″x24″ 5 color poster. 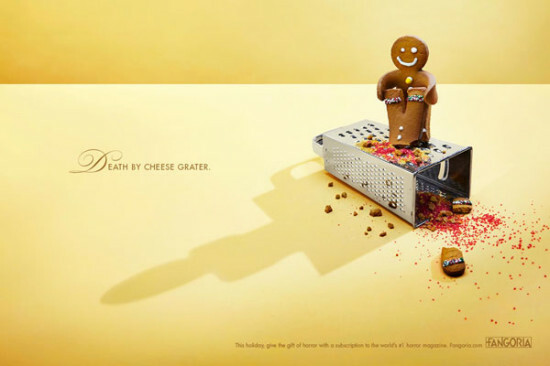 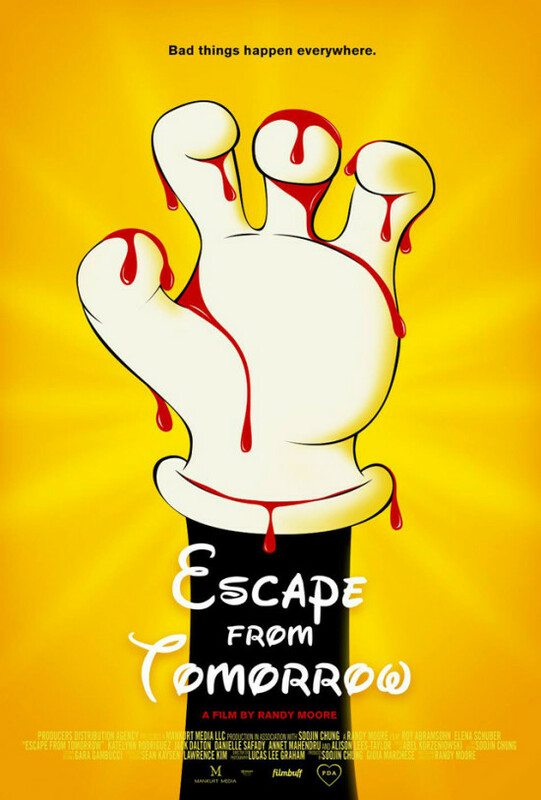 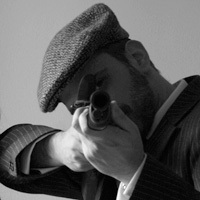 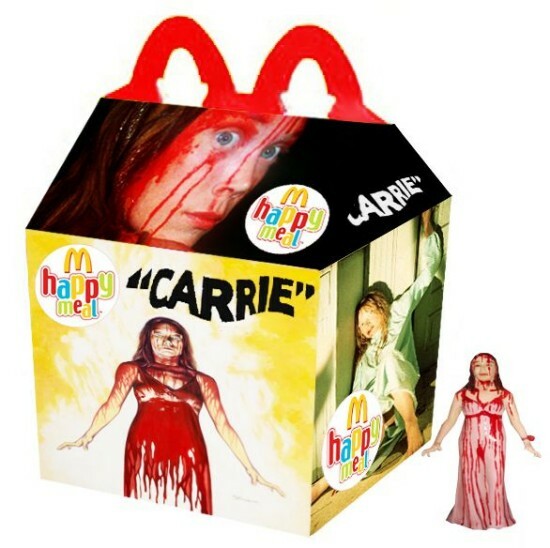 Escape From Tomorrow is an unauthorized indie fantasy-horror film shot guerilla style within the Disneyland and Walt Disney World theme parks.